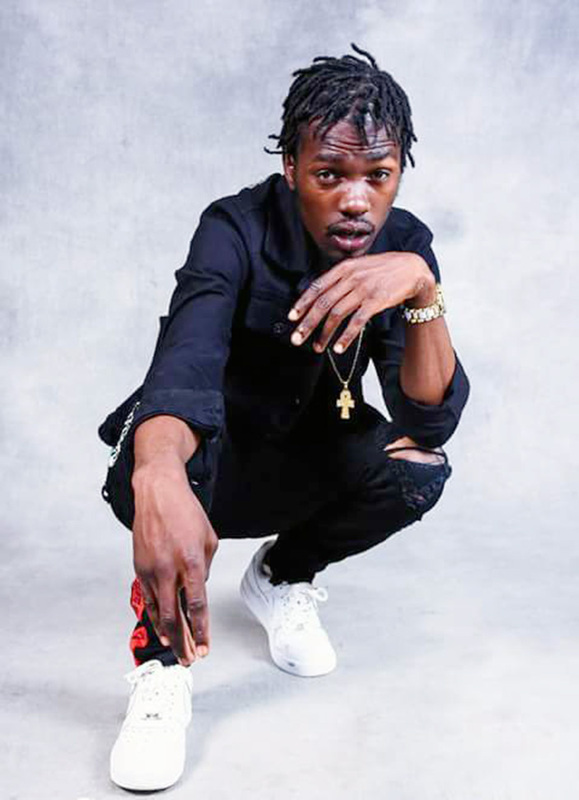 HORDES of ENZO Ishall’s fans yesterday expressed mixed feelings on social media after the popular chanter was allegedly bashed by his wife following a misunderstanding. It appears some Kanjiva hitmaker fans were bitter over the unfortunate incident while others said he deserved the thrashing if indeed he wronged his wife. Vokal BaJordan: Na Christian Tapuwa T-fresh Mhlanga saka hausi riwe wega unom***swa nemukadzi ka..
Sharon Magi Chideu: On the Enzo issue, shuwa aroverwa ma status video which were promoting his song? Kubasa. Rega zvizonzi it’s hard to date outside the industry. Mai KendricknaSamantha Mamo : Tipei address yekunogara mkadzi wacho tinomurova. Awakhiwumzomhle Wako Sibanda If men spoke out as much as women do things would change but sadly most of them don’t No man should ever go through such, it’s wrong. People take it as a joke whenever a man is abused, that’s wrong but it should never stop men from speaking out and taking legal action. I honestly don’t get how feminists fit in here, unless if there is a feminist who denied that men are also victims of domestic violence. Thing is men don’t speak out as much as we do about this issue. They don’t report or take any legal action (in most cases). It’s very very very wrong for women to abuse men in any way but do we see the men coming together starting organisations, hashtags, movements about it樂 Why not, coz even some men see it as sign of weakness right. Artists should be speaking out about these issues. Let’s compare the number of songs or poems of abused women vs abused men. Women speak out more and maybe men should do the same. Alvin Harry Jnr Zhakata: The wife is the epitome of idiocy. Divorce that witch already! ColeMe Diamond: kusadzosera hazvirevi haagone kumurova and Kusamurova hazvirevi haagone kudzosera. De Messenger: Kune varume vanorohwa nevakadzi vavakatobvisira pfuma? ?ummmmm inga maone. Shaz Sharon Mapoka: Kutorova murume nhai…hazivi Kuti Enzo iyeye tinotomudawo mxm. 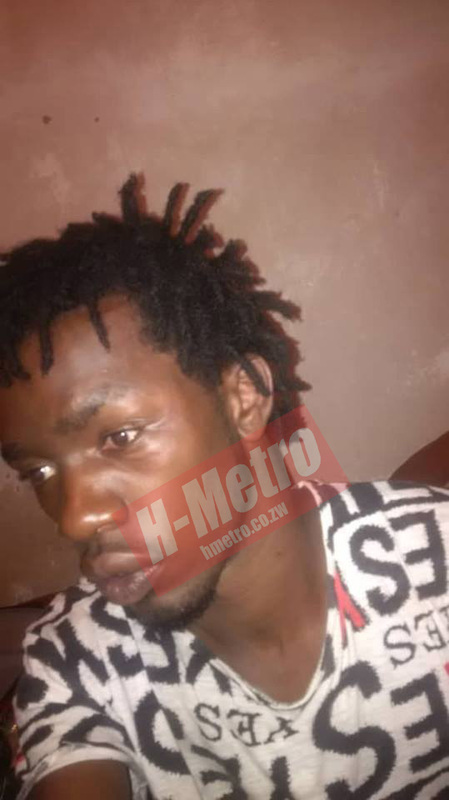 Memory Moyo: I used to beat mine too but ndakazoona kuti ndobviswa mazino. Nekuda kwandoita mazino angu. Mumwe musi ndakapotsa ndapinda mufridge nekutya kurohwa. From that day I never raised my hand on him again. Yolanda Valeria Bunjira: Ngaauye hake kwandiri tichitamba kanjiva tese. Takudzwa Splits: I pray amusiye! Achanetsa pamberi apo, that’s the nature of his hustle so if she can’t vibe with it ngaende! And feminists won’t even comment on this those cowards. Ku Feminism we do not condone violence in all its forms whether yaitwa kumudzimai or munhurume. I don’t understand why you think it’s our duty as feminists to speak out against violence perpetrated on men. Why imi varume musiri Kuita speak out against violence yacho tobatsirana? Isu when a woman is abused we simply speak out, tweet about, do marches, provide counseling etc Ko imi munozvitadza nei? Tafadzwa Jengwa: Too bad, imba haimiswe nekurovana it will make things worse, kutaurirana ndiko kunobatsira. Violence doesn’t solve marital issues, but dialogue does. Fungie Pee Chinembiri: Ahh shame sorry hake, ko vanoawanepiko mabhinya kadzi aya nxaaa. E Rue Muzvidzwa Murandakadzi: shavi rako rekurova mrume rinoda 50 magate zvikaramba 60 70. Monalisah Morosen: But mkdz uyu dzungu chairo kna takuzotorwa hedu hanz he he. Fadzai Tilda: A gentleman indeed, mai ivavo vanoda kutinyadzisa. Deelight Moyo: Ukarora dofo unogara uripama1. Mary Maregedze: Akuda kutsvagirwa kamwe kanjiva. 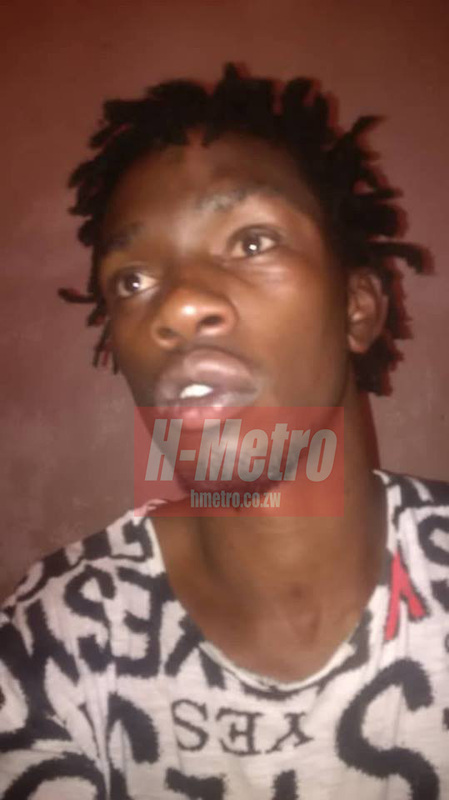 Walter Longman Chetemu: Domestic violence is not a laughing matter, mangwana akatsamwa odzorera okuvadza or kuponda munenge mava busy kuenda nema banner kumatare edzimhosva muchiti varume imhondi. Musatambe nenhau idzi imi. Beauty Makaza: ko Enzo ngaangoita yakaita Andy Muridzo…ngaasashupwe nemunhu. Martha Mutyanda: Zvaanopenga mudzimai uyu ndiye akada musician saka she must tolerate my fans achaiswa pama status bcz kuti aite mari enzo ma fans anomutsigira AKADII KUROORWA NA PASTOR VANOISA MA BIBLE VERSES PA STATUS NEMIFANANIDZO YA JESUS ACHIROVERWA PAMUCHINJIKWA osiyana na enzo. Mercy Mumsy Muponda: Its so sad, abuse must stop. Gracious Manditemba: Vakadzi vajamuka shem ndivo vaimarcha 16dys of activism against gender violence now ndovakutorova varume hehehe tables have turn…sorry Enzo. Carrington Kachenga: Vamwe kungochenjera pane vamwe varume, vakadzi vane power ava. Muzvare Jayne Nemz: tiri kubva mu16days of Gender Violence variko vakadzi bullies ngaasungwe mkadzi uyo violence is a no no. ColeMe Diamond: iye achiisirei vanhu pa whatsapp statusachinyanya. Brandon Ndhlepe: Ngaamusiye mukadzi wacho ibharanzi. Marvel Govati: yaah akaroora munhu akadzungaira…. Norman Vezha: Sorry brother Enzo next status yako ngayive abt God mkadzi anoremekedzwa wangu. ….otherwise wadzidza. Vikki Therealblackdiamond Rudo: na Yvonne ndimi marovesa Enzo  ini handichatoposta mapictures andakatorwa naye anobva auraiwa lol. Charlene Chirikure: Varume ava kungoita ka 20$ mupocket akutoona kunge wifey isisina basa akadii kuisa ane wifey yake. Karen Dube Nzara: Aaah shame asi vaimbi vanozviwanza havo ma bbie akawanda anobuda pa vedios avo van*sh***. Pierro Brutus: dai mukadzi akangwara atozvininipisa hake coz becoz enzo munhu atove ne zita zvekuti nzenza dzine mari dzakato muteya anoswera atorwa uyoo tikazoona zvekwa mai keketso zviyee. Percy Mutabaruka: First Jah Preza kumhanya kumakuva, Muridzo akatizira, kanjiva arohwa…marasta chiiko nemi so? I think kamwe kacho kekuti 50 magate chi chi chi. Lewis Makunganya: Saka kuti F ndoo kuti? Pirie Sanyas: Rati Lilian huya pano..
Charles Makumbe: Good lad he didn’t beat her back. Cassidy Ngonie Rupiya: Tariro Tumain Masiiwa Our society is sad. Just these comments will show you how people are so primitive. Mercy Mumsy Muponda Its so sad, abuse must stop. ColeMe Diamond iye achiisirei vanhu pa whatsapp statusachinyanya. Rudoibofu Vasikana Ende haambomusiya patova ne Trauma bond. Knox Kanoko Dump her . Nxa vakadzi vanozviitisa sometimes. . Kujaidzwa ka uku. Beauty Makaza ko Enzo ngaangoita yakaita Andy Muridzo…ngaasashupwe nemunhu. Porai Christina Vee Lolo Manyumbu wanga wapfuura nepano here? Marvel Govati yaah akaroora munhu akadzungaira…. In an interview with H-Metro, Enzo Ishall appeared to have forgiven his wife despite her being roundly condemned on social media for her conduct. “I’m sorry l cannot talk about my wife, this is affecting her negatively and l am not enjoying this. She did not mean to do that,” said who appeared scared to open up more on the issue. Some fans sympathised with him while others poked fun at the Chill Spot Records’ new find of the year.